Some of the most vibrant and elaborate traits in the animal kingdom are signals used to attract mates. These mating signals include the bright feathers and loud calls of birds or the swimming dances performed by fish. Most of the time the males of the species perform the mating signals, and females use those signals to choose a mate. While mating signals help attract females, they may also attract unwanted attention from other species, like predators. Robin is a scientist who studies the mating signals of Pacific field crickets. These crickets live on several of the Hawaiian Islands. 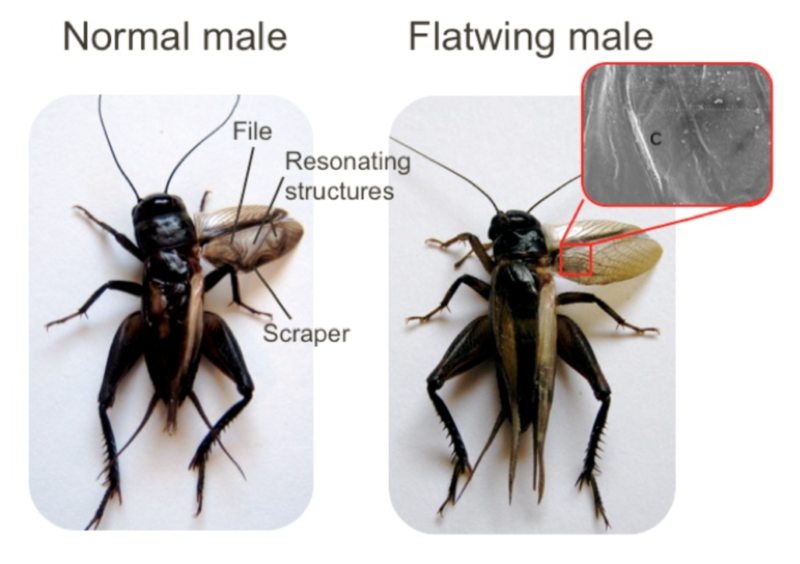 Male field crickets make a loud, long-distance song to help females find them and then switch to a quiet courtship song once a female comes in close. Males use specialized structures on the wings to produce songs. One summer, Robin noticed that the crickets on one of the islands, Kauai, were unusually quiet. Only a couple of years before, Kauai had been a very loud place to work; however, that year Robin heard no males singing! After taking the crickets back to the lab, she noticed that there was something different about the males’ wings on Kauai. Most (95%) of males were missing all of the structures that are used to produce the calling and courtship songs—they had completely lost the ability to produce song! She decided to call this new type of male a flatwing male. But why did these males have flat wings? On Kauai, songs of the male crickets attract female crickets, but they are also overheard by a deadly parasitoid fly. 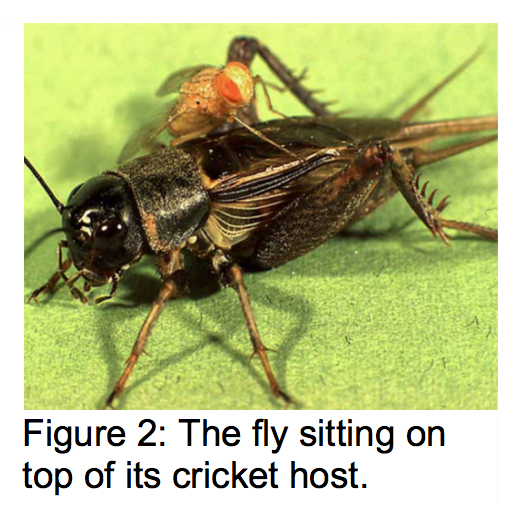 The fly sprays its larvae on the backs of the crickets. The larvae then burrow into the crickets’ body cavity and eat them from the inside out! 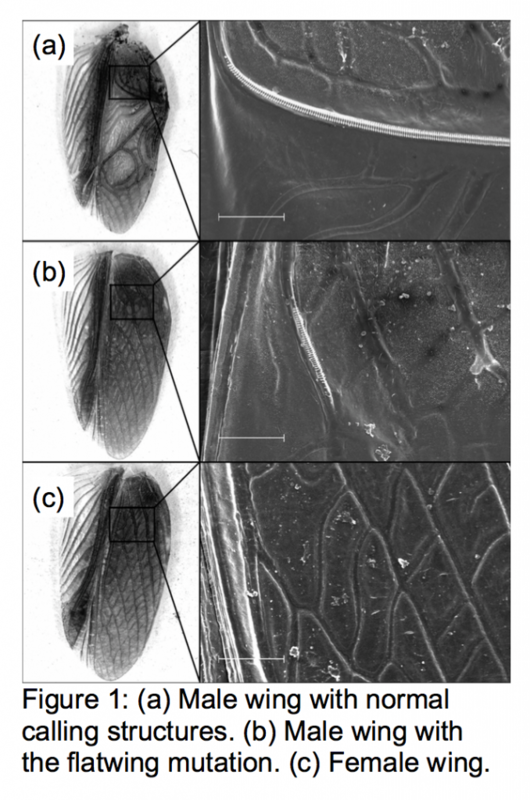 Because flatwing males cannot produce songs, flat wings may help male crickets remain unnoticed by the parasitoid flies. To test this idea, Robin dissected the males to look for fly larvae. She compared infection levels for 67 normal males—collected before the flatwing mutation appeared in the population—to 122 flatwing males that she collected after the flatwing mutation appeared. She expected fewer males to be infected by the parasitoid fly after the appearance of the flatwing mutation in the cricket population. A video introducing the study system and describing how, in fewer than 20 generations, crickets on the island of Kuai went from singing to silent! Zuk, M., Rotenberry, J.T. & Tinghitella, R.M. 2006. Silent Night: Adaptive disappearance of a sexual signal in a parasitized population of field crickets. Biology Letters 2:521-524. Tinghitella, R.M. & Zuk, M. 2009. Asymmetric mating preferences accommodated the rapid evolutionary loss of a sexual signal. Evolution 63:2087-2098. UC Berkeley’s Understanding Evolution Website: Quick evolution leads to quiet crickets. Science News: Crickets on Mute: Hush falls as killer fly stalks singers. Volume 170 (13). My students want to know if Robin has seen a decrease in the population of crickets since this gene mutation. Thanks! That’s a great question! I’ll try and get more information for you from Robin about this. I did find on her Twitter that she just discovered the males evolved a new type of song – purring! If their numbers dropped off at first maybe this new adaptation could help them rebound? Awesome question! My lab hasn’t tracked that specifically, so I don’t really have a quantitative answer, but anecdotally, the population on Kauai isn’t as dense as those on neighboring islands where there are still calling crickets. The population on Kauai is still going strong, though, and I haven’t heard a calling male there in years! Thanks for asking and for using the Data Nugget! Never mind, brain melt down. 25 divided by the total (67). Don’t know why I did that. Thanks for checking this one over so carefully! I’ll look into the calculations just to be sure! I believe there is an error on this one. 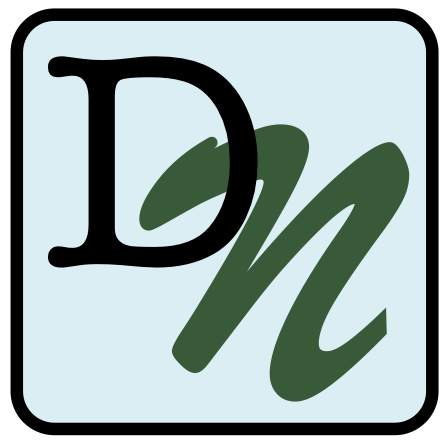 The percent of males parasitized before the flatwing mutation would be 25/42 x 100% which is 59.5. This is not the answer on the key nor does the corresponding graph (version A) have a Y axis that goes high enough. Am I wrong?